Summary: Middle school is always difficult for quiet, shy Emmie, who only speaks to her best friend Brianna, walks through the halls with her head down, and hides by drawing whenever she can. But one day stands out as particularly horrible. At lunch, she and Brianna amuse themselves by writing over-the-top love notes to their crushes. Emmie accidentally drops hers, and it’s discovered by insufferable class clown Joe. He proceeds to tease and torture her for the rest of the afternoon, until Emmie feels like she has been reduced to a puddle of slime. 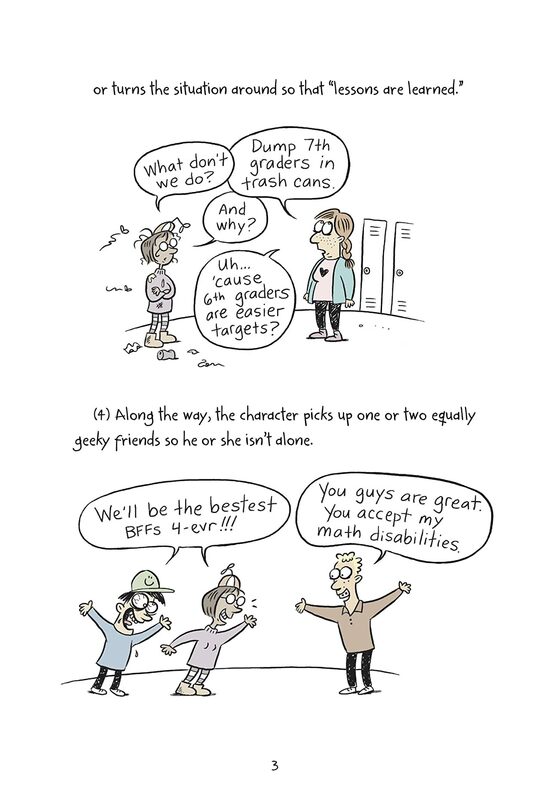 Interspersed with her story is a comic tale of Katie, a classmate who is pretty, popular, smart, and confident. 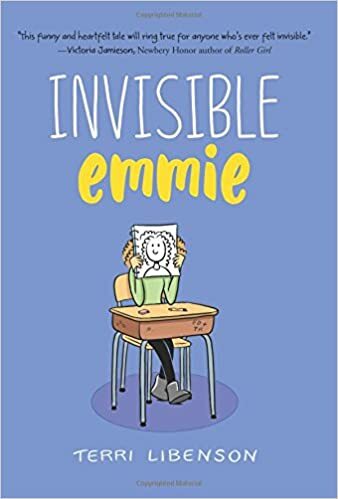 The two girls connect in a surprising way late in the day, and Emmie has a good last class that bodes well for the rest of her seventh grade year. 192 pages; grades 4-7. 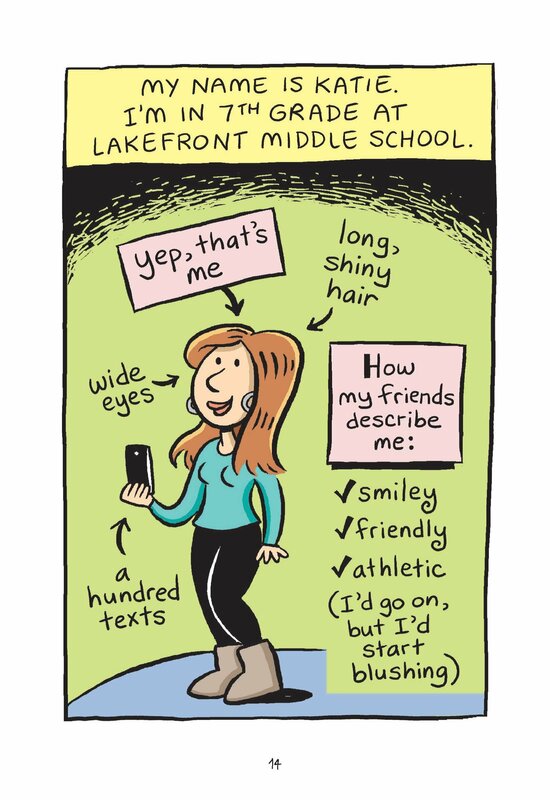 Pros: This graphic novel-chapter book hybrid will appeal to fans of Wimpy Kid type books as well as graphic novels Raina Telgemeier, Jennifer Holm, and Victoria Jamieson. Cons: There were a few references (like Emmie referring to herself as an “oops baby”) that might raise an eyebrow for parents and/or teachers of younger readers.